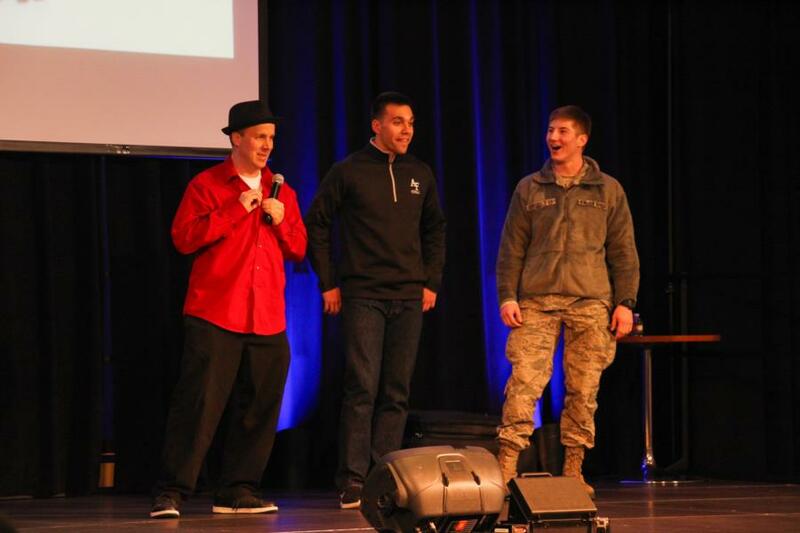 Last Friday, the Cadet wing was entertained with Comedy routines by Adam Ace & Wacky Chad. 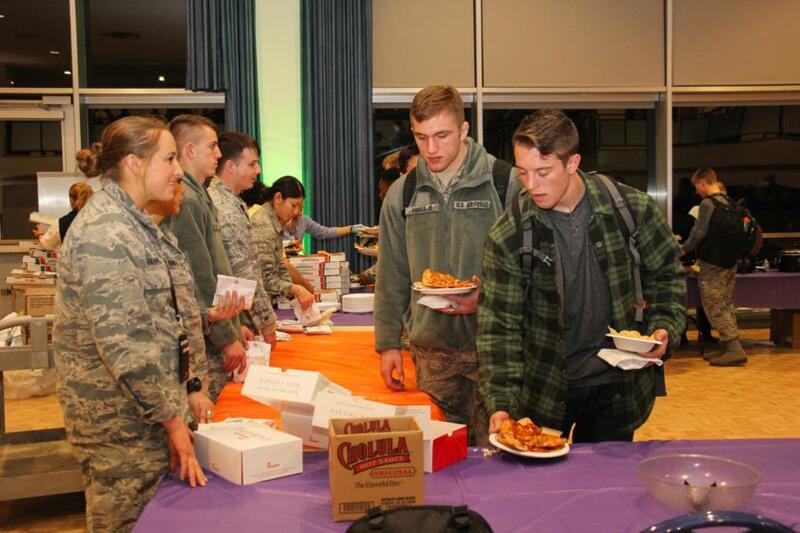 The night began with the cadets junking out on nachos, pizza, and Chick-Fil-A. After that they took their seats to watch two comedy acts; Adam Ace who's known for his combinations of outlandish comedy, music, props, costumes and dancing and Wacky Chad who's funny jokes and antics got him on America's Got Talent not only once but twice and he has performed at the Super Bowl. First up was Wacky Chad, who lived up to his name. 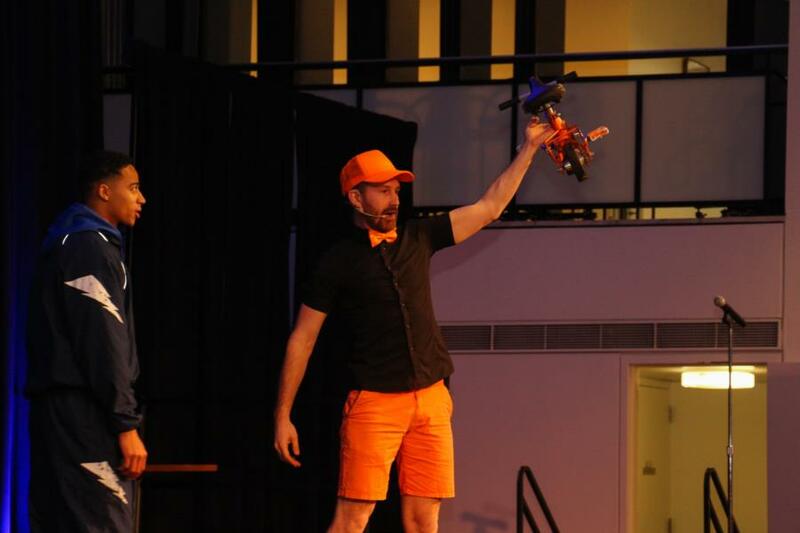 He entertained the crowd with funny jokes, dancing to rap music, and his crazy stunts. 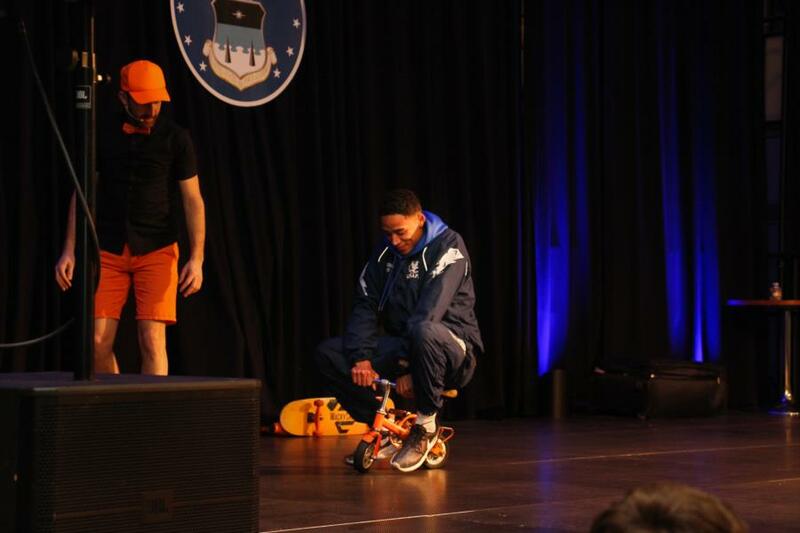 Some of his stunts included riding a tiny bike with a cadet on his shoulders, jump roping well sitting down, and best of all his awesome skills on a pongo stick. The mix of comedy and stunts was a hit for all the cadets. Next up was Adam Ace; he really got the crowd laughing by making fun of himself in his younger years. In addition, to disclosing some embarrassing moments from his past, Adam Ace involved the audience in every aspect of his performance. 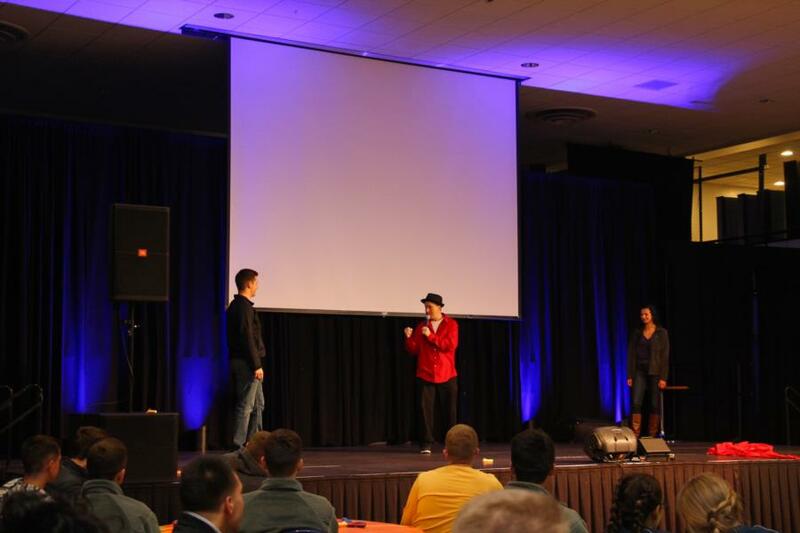 He got cadets to come dance on stage, and even got a brave couple to attempt the signature Dirty Dance move…they were close but no cigar. It wouldn’t surprise me if some of the cadets got abs after laughing so hard all night. 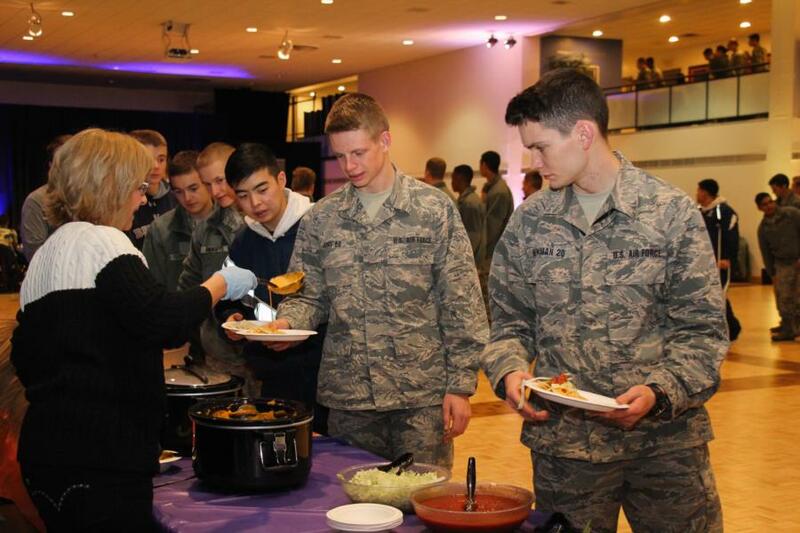 To view the rest of the pictures from our glimpse into the evening go to; Galleries - Extracurricular - Cadet Life. Or click the link below.